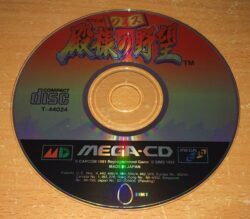 The games in this category were intended for the Japanese market, and as such will not run on an unmodified UK/European Mega CD Console without the use of a boot cartridge. Refer to this page for more info. Also, some of the games may require a knowledge of Japanese to enjoy them fully. Please be aware of this before ordering.